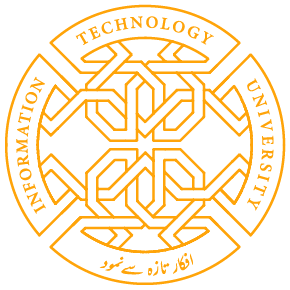 Information Technology University (ITU) Lahore’s School of Business and Management has launched Executive MBA in Innovation, Technology and Entrepreneurship (EMBITE). It is the first program in Pakistan designed specifically to provide skills and knowledge to those who are interested in starting a new business or those who intend to grow their business will greatly benefit from the program. Dr. Umar Saif Adviser to the CM Punjab and Vice Chancellor of ITU, in a message remarked the program having unique features being targeted at those who were determined to transform Pakistan’s economic landscape in the next 25 years. EMBITE will give new dimension to the higher education in Pakistan, he added. The program is designed for maximum flexibility combined with outstanding quality. EMBITE is two-year long modular Executive MBA comprising 72 credit hours, made up of 22 courses (offered as modules) and a project (equivalent to two courses), in accordance with the roadmap laid down by the Higher Education Commission. The candidates having 14 years of education with four years’ work experience or 16 years of education with two years’ work experience will be considered eligible for admission. Classes are scheduled on the weekends (Saturday & Sunday) form 0900 hrs to 1700 hrs. Candidates accepted in the program will work in teams of five over the duration of the program. It will make extensive use of case studies and simulations in its teaching methodology as well as on-line class room contact, especially with foreign faculty. The candidates can fill the online application form by visiting website link: https://itu.edu.pk/admissions/embite latest by January 31st, 2017. Share the post "ITU LAUNCHES EMBITE-A NEW DIMENSION TO HIGHER EDUCATION IN PAKISTAN"